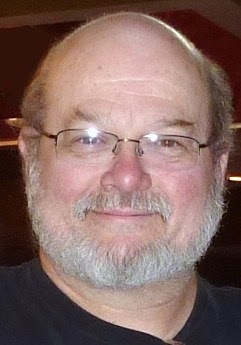 H. David Blalock is one of the nicest writers you'll ever meet. Seriously. No fooling. But dark. Good Lord, the man can enter some of the creepy, scary corners of the human soul. But thankfully he doesn't stop there. Don't believe me? Then listen to him tell you about it. 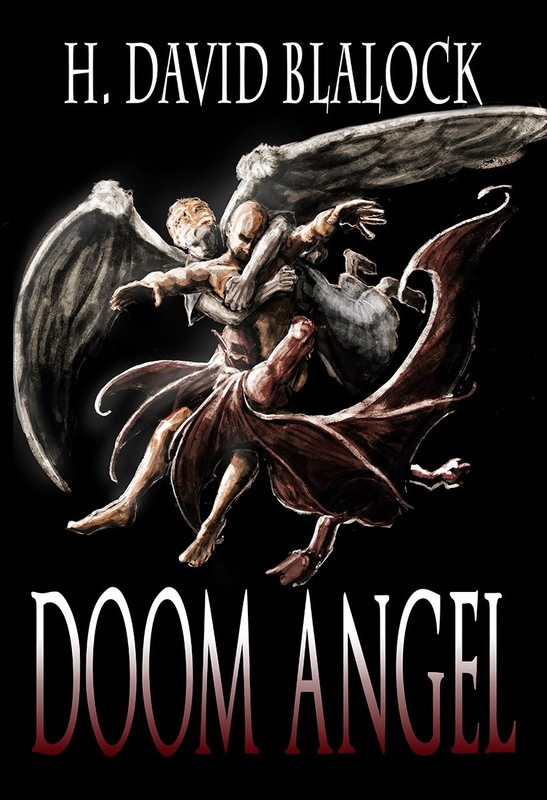 My latest novel, Doom Angel, just appeared from Seventh Star Press in March. It's the last book in the Angelkiller Triad and completes the story begun in Angelkiller (Seventh Star Press, 2011) and Traitor Angel (Seventh Star Press, 2012). In that series I wanted to address the ancient question of "Why do bad things happen to good people?" The premise is that, in the war between the angels, the Dark won and has convinced mankind they were actually in the right. The books concentrate on a resistance cell trying to bring the truth to humanity and break the hold of the evil angels. Besides Doom Angel, I have had several recent publications, including short stories from Pro Se Press (The New Adventures of Foster Fade, 2014), Hermit Studios (Denmark) Press (NovoPulp 2013/2014 Anthology), and Seventh Star Press' second Southern Haunts anthology. I write in a variety of genres but I think all of my work concentrates on the most fundamental human emotions: fear and its opponent, courage. I think that the entire gamut of the human experience is contained between those two extremes and every other emotion is based, to some degree, in one or other of those two. The conflict, internal and external, between those factors is what drives just about every story I write and, to a great extent, every story ever written by anyone. I'm not sure I can define that in a single project. My dream and goal is to write something that, centuries from now, will be timely enough and powerful enough to evoke an emotional connection with the reader even then. My independent work, in other words the work not done for a story or novel contract, is centered around this target. Of course, I'm not likely to know if I have succeeded, but the idea that I might do so keeps me trying. My first fantasy series, The Thran Chronicles, was begun in 1973 and completed in six volumes in 1994. It amounted to about a million words and constituted a plain exhibition of the development of my style and skill as a writer. The Chronicles were rewritten into two volumes which appeared from Sam's Dot Publishing under the titles Ascendant (2010) and Emperor (2011). Much of the detail was, of course, lost in the rewrite and I believe I made some bad decisions in determining what to omit. I think the story deserves a better, more sophisticated retelling and sometime in future will probably try my hand at doing just that. As a writer yourself, you must know that's one of those questions that doesn't have a definite answer. Writers, myself included, are inspired by any number of things. Our own experiences form a basis for our inspiration, but the stories of others and how they affect us, the observation of the events of today and yesterday, the antics of children and animals -- so many things can inspire. In my opinion, any writer who can answer that question with one factor needs to more closely examine the world around them. The biggest influences on my work were the writers of the first sixty years of the 20th century. From Wells and Burroughs to Heinlein and Bradbury, the fantastic fiction of the technological awakening defined how I approach my writing. Their vision and imaginative faith in the innovative spirit of mankind have been the kind of work I have attempted to emulate all my life. My work has been compared to Poe and Eddings, quite an eclectic parallel, but I will never be content until someone looks at my work and sees the soul of A. E. Van Vogt, the imagination of Clark Ashton Smith, or the voice of Jack Vance there. I hope my work leans constantly toward the art side of that dichotomy. In my mind, the science side has lost its ability to invent. Science has increasingly become a statement without any emotional component, whereas art is almost completely emotional in its relationship to the audience. Scientific data is objective, interpreted the same way by every person who interacts with it. Art, on the other hand, is always personally interpreted and either appeals or repulses depending on the individual. I deliberately write my independent work with that in mind. Well, I'm currently working on a new series for Pro Se Press to appear in their Pro Se Signature line beginning in August, a story for Dark Oak Press' next Dreams of Steam anthology, and another for their Intergalactic Bartender anthology. I'm expecting my short story "Object in the Sand" to appear in Nomadic Delirium Press' Martian Wave 2014 magazine issue and one or two stories from Pro Se Press in their upcoming RAT-A-TAT! Short Blasts of Pulp! Anthology. With any luck, they will also come out with a collection of my short stories sometime later this year or next. One thing's for sure, I'm staying busy, which is fine with me. [Link] Why I hate the term "Genre Fiction"